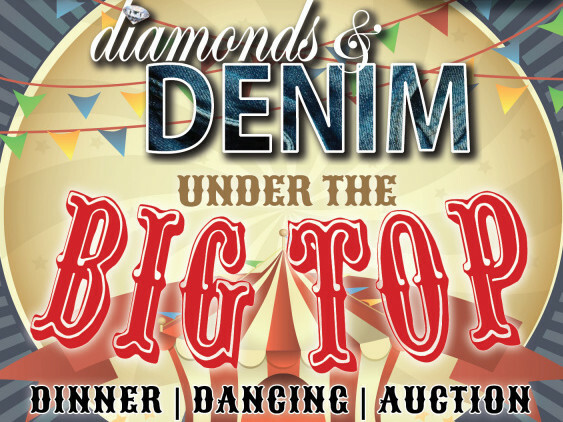 Diamonds & Denim Under the BIG TOP! Dance and dine the evening among a sparkling scene of comfy elegance and the whimsical theme "Under the Big Top." Leave the tux at home. We want you to have fun in your favorite pair of blue jeans for this annual fund-raising dinner dance celebrating 68 years of The Elizabethan Gardens. Tickets are $75 for members, $80 for Non-Members. $100 Table Ticket (per person). Reserved tables of 8 for $800. Corporate sponsorships are available, call 252-473-3234 for details. For more information, call 252-473-3234. All proceeds benefit The Elizabethan Gardens.